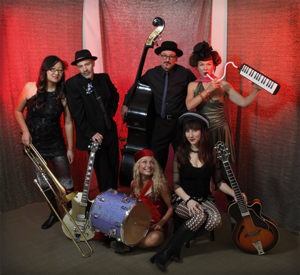 I compose music and perform in a lounge-pop band called Vermouth led by myself and my music partner Steve McDonald. 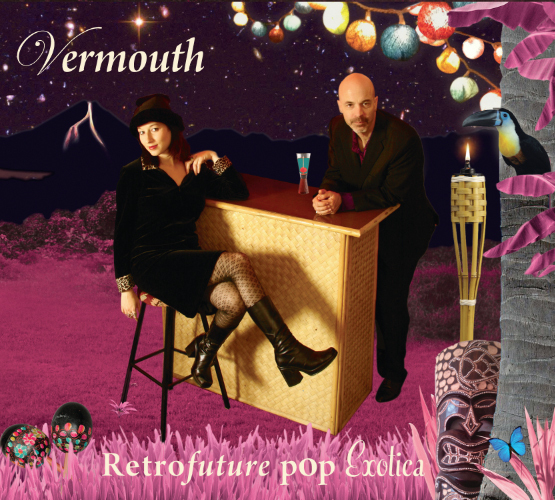 Our debut album, RetroFuture Pop Exotica includes a host of talented multi-instrumentalists performing songs featuring sea anemones, go go dancers, iguanas and various tales of idiosyncratic friends. It is an intricate composition of vocal harmonies, atmospheric guitars, vibraphone, keyboards, trumpet, trombone, baritone sax, bass, melodica, percussion, drums, jungle calls and found sound including crickets, running water, birds and tide pools.